There is nothing like starting the weekend with a touch of sweet headache. I am guessing some sushi and pink champagne combination will do the trick though. What is your favorite food combo to welcome the weekend? Tom Ford fever is going on here. I have been glued to his make-up from Summer collection since days, coming up with some looks to share with you. Despite quiet a few repromotes, this collection is really pretty in that sense the pieces combine so well together. Today I would like to share my thoughts about one of the Cream and Powder Duos and Cream Cheek Color. There are four Cream and Powder Duos in Tom Ford Soleil Collection. They come in a similar packaging to Tom Ford eye primer, which also has a cream at the bottom and a setting powder on top. Tom Ford make-up line reuses the packaging so wisely. I really like they bring new creative products in existing packaging. The bottom part can be opened by twisting. The top part is clicked opened. Cream and Powder Duos also come in white packaging just like the rest of the collection. There are four different shades to choose from. You can see swatches of all the shades at The Beauty Look Book. Three of the cream shades are repromotes and one is new. Today I would like to show you the brand new one, called #02 Black Oyster. 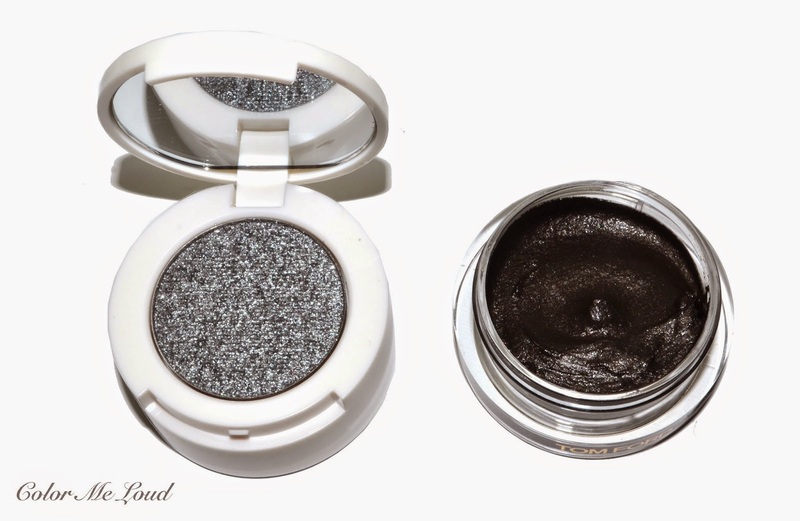 Tom Ford Cream and Powder Duo #02 Black Oyster definitely brings the rock'n roll to your eyes. I don't know a way to wear this lightly but I did all I can to avoid shocking to colleagues. That said, mine are rather used to me with smokey eyes. Cream part of the duo is a deep anthracite with sparse silver sparkles. If you feel the cream part didn't bring you enough "blink", you can go ahead and tap some more glitter from the top celestial shade. You can see that the layered shade is smoulderingly smokey and as shiny as it gets. If you like Tom Ford Quad in Titanium Smoke (reviewed here) probably you would like this duo too. It looks close to Titanium Smoke one on my eyes, just a little more silver and cooler. 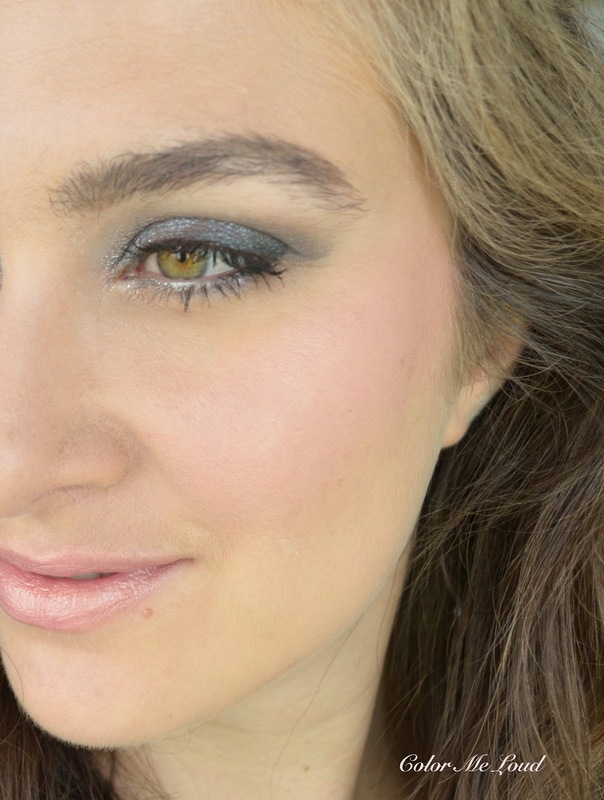 You can go ahead and tight line and run black kohl on your waterline as I did with the Titanium Smoke look, but this time I wanted to keep it easy and simple to show the most wearable version of Black Oyster. I used the cream shadow all over the lid and tapped the glitter on top with a light hand. The black cream shade in Black Oyster is close to Spring 2015 cream shade (reviewed here) in terms of texture. I know that some had problem with that one being too dark and once sheered out, they reported it creased on some. I didn't experience this problem myself but I can imagine if you had a problem with that one, it is very likely you will have problem with Black Oyster too. One more thing to mention, some of the glitter end up under the eyes during the day. It is almost always the case with glitter though, especially with my rather dry eye lids. The amount of fall-out is minimal in Tom Ford celestial shades but nevertheless it is there. Black Oyster is not an exception. Here are a few comparisons for your reference. Black Oyster cream is deeper and more black than Spring 2015 Cream Color. Black Oyster's glitter shade is unique once compared to glitter shades of Ice Queen (reviewed here) which is cooler and Titanium Smoke which is warmer. 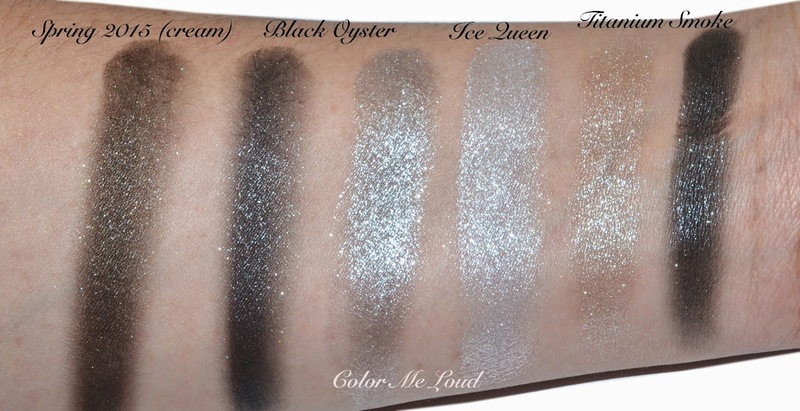 The deepest glitter shade of Titanium smoke is close to the cream part of Black Oyster. 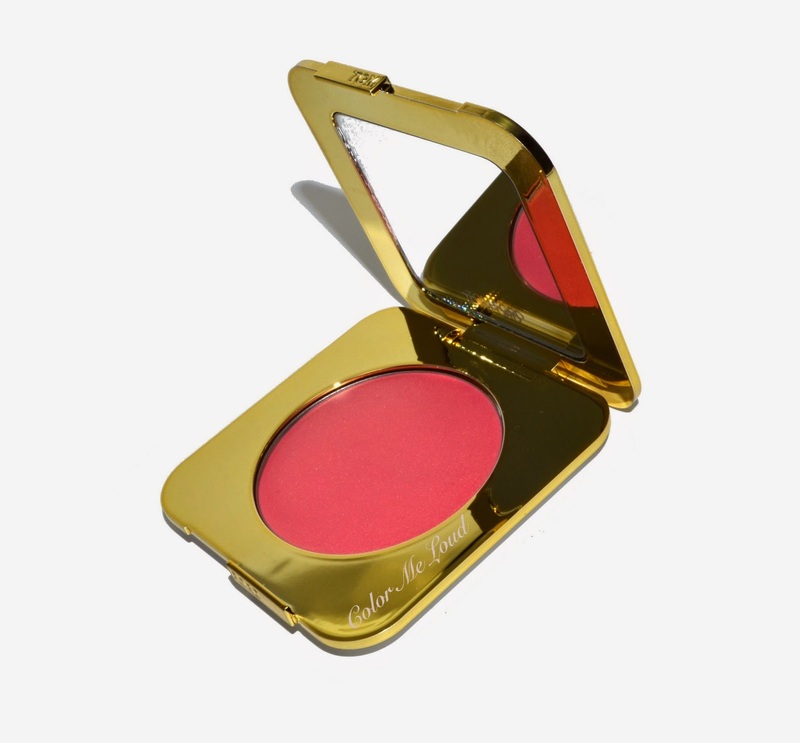 With Soleil Collection, Tom Ford released their first cream blush in the pan, called Cream Cheek Color #01 Pink Sand. To me Pink Sand is one of the highlights of the summer collection. It is a gorgeous pink with golden shimmer. The shimmer in this is very fine, more like a sheen. Remember Asia Exclusive Chanel cream blush, Invitation (reviewed here)? I was so disappointed with the glitters in it although I really liked the idea. Tom Ford Pink Sand is Invitation done right! I think the texture of Chanel cream to powder doesn't really allow very fine sheen but a little creamier texture of Tom Ford Cheek Color does. Here is a swatch to show you what I mean. You see the very fine, almost duo chrome quality of this? It is beautiful. It gives wet sun kissed look to the cheeks, simply gorgeous. I don't like cream blushes which are too creamy, but this one works. It doesn't feel sticky nor greasy on me after the application. It applies and blends beautifully. Tom, you really need to bring more shades of this. I want them all! My only complain is that the shade is rather light so starting from medium complexions, it may not show up. Everyone light to medium has to get it though, seriously, you need it. Here is the complete look with Tom Ford Cream and Powder Duo #02 Black Oyster on the eyes, Cream Cheek Color #01 Pink Sand on the cheeks and lips. Since I didn't go for black kohl but subtle silver liner on the water line (Chanel Stylo Yeux Or Blanc), you see that the whole look didn't turn out to be too dramatic. Still under the light, there was some glam going on the eyes. Final thoughts: If you don't own Tom Ford's cream eye shadows, now it is a good time to start with the duo offering, getting an additional celestial shade with it. 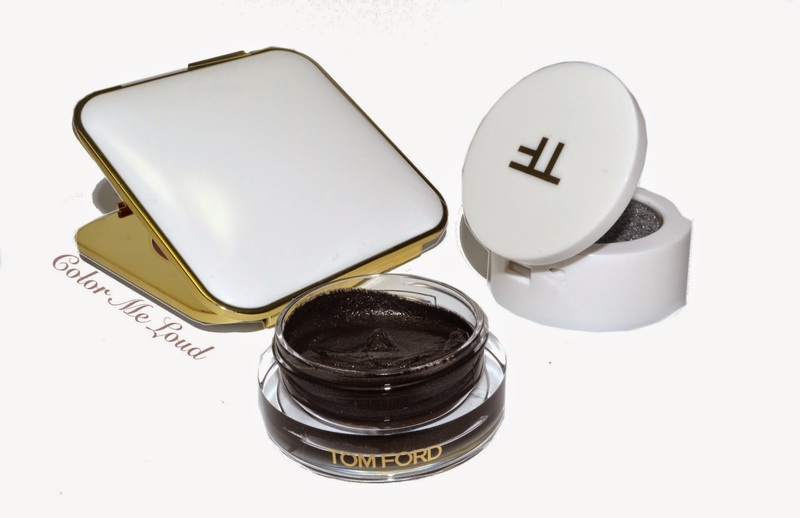 For die hard Tom Ford collectors, cream and powder duos might be a little repetitive. Cream and Powder Duo #02 Black Oyster has a new cream color to give you smouldering smoky eyes if you are into it. That way or the other everyone on the planet and the whole universe need Tom Ford Cream Cheek Color #01 Pink Sand. If it shows on you (I am guessing starting from medium to deep, it might be tricky) don't hesitate to pick Pink Sand up, it is so beautiful. There will be more Tom Ford coming up this weekend. 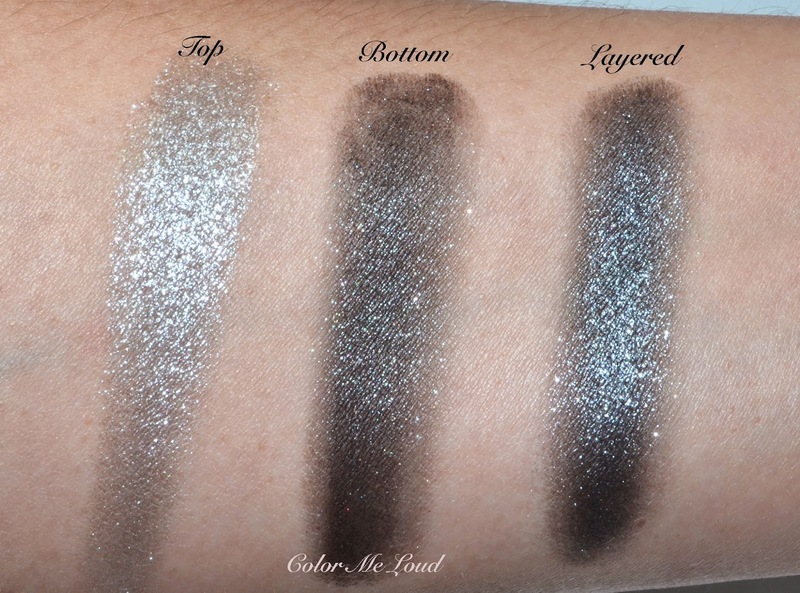 How do you find the idea of cream eye shadow and celestial shade duos? That's such a beautiful look, Sara. The blush looks very pretty but on my medium skin tone it will probably be more of a highlighter. OMG, the blush is gorgeous!! Love the gold shimmer, and glow it gives to your face. I have Spring 2015 and it's such a complex color, the perfect mix of taupe, smoke, and pewter. And so versatile --if you sheer it out, it's a very wearable Taupe, but you can also go for a very dramatic smoky eye. This is a great look and the addition of the Yeux Stylo gives it something extra. I was waiting for your review of the blush, and you are so right, this is the inspiration many of us hoped for from the Chanel Whitening Collection. I am trying to hold myself back from getting a backup because I'm not sure how well a cream blush formula will keep in the archives. Will probably do a similar look using the Estee Lauder Gelee ES formula which has a nice silver. Hey Sara, love the look you put together! I'm skipping both because Black Oyster is too dark for me, and I'm not sure if I want so much sheen in my blush (the joy of having combo skin, especially in summer). Can't wait for Midnight Sea to arrive tho! Oh you are so right, that Pink Sand is Invitation done better! I was apprehensive initially, but it's worked out very well. Thanks for this lovely review, Sara! I can't believe how beautifully you wear Black Oyster! 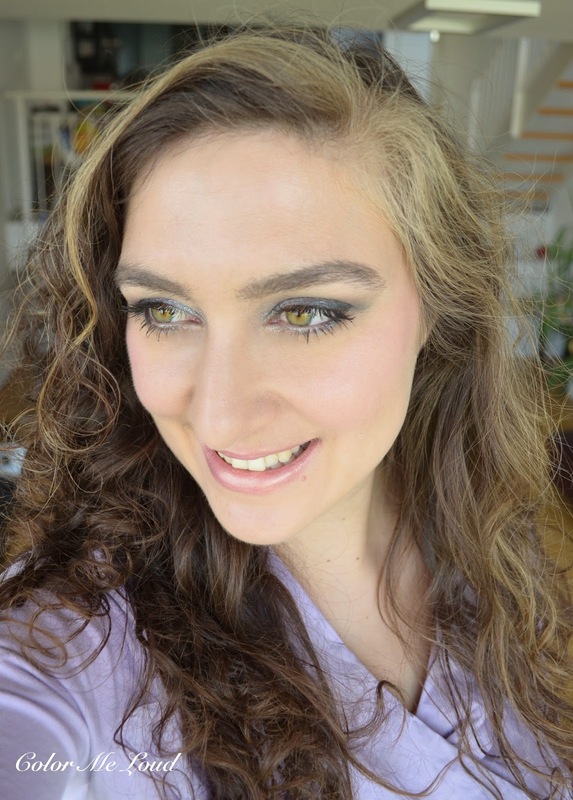 With my hooded eyes behind glasses it's a definite no-no.I chose Naked Bronze and Pink Haze; I really wanted Midnight Sea but already have Spring2015. I received Pink Sand yesterday and good news for tan (NC40-42) skin, it shows up stunningly! I adore it. 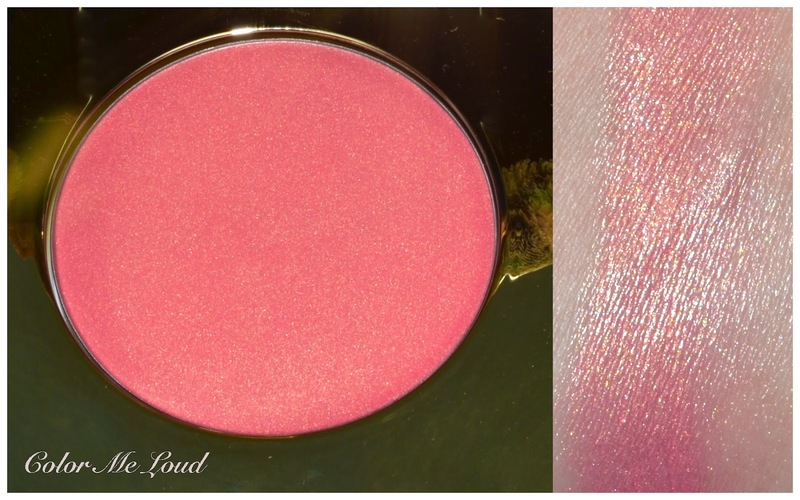 Finally someone made a pinky coral blush that does not pull orange on me, woot!! Oh my gosh, this looks so pretty on you. I was going to skip the blush because of the sheen, but it looks like a healthy, youthful, ethereal flush on you. Guess I need to visit the counter and try it out. if you have an access to Tom Ford Counter, make sure to check out the blush. It is really pretty. The sheen transforms to a glow on the cheeks, nothing crazy, looks lovely. thanks! In reality it was a bit more dramatic than it looks on the photos lol. I am also a glass wearer so I think, anyway the glass doesn't show through so let me put more on my eyes hahaha. I know it is a pity about Midnight Sea. I wanted that one too but I don't want two Spring 2014 shades, especially because you need just a small amount for the full eye lid. Naked Bronze is great if you don't have Spice. It would have been my first choice too. Why did you make such a promise? You don't use cream products that often? yes the blush is to die for!! For me it is the highlight of this collection really. I am glad to hear you are liking it too. Bella says (check up) on her NC40 complexion it shows up. If you have a possibility to check a counter, I would try it on to see. I know, Black Oyster is really dark. I am so excited to see how you like Midnight Sea. I know what you mean if you are already shiny, maybe this blush is too much. But maybe not, one had to try. We are not lucky to have Tom Ford Counters close by *sighs*. I have heard though they are getting one soon in my city!! Yay! So excited. I am loving Golden Peach at the moment (review on that coming up soon). I think you did a great job. That one is gives such a pretty polished look for everyday. Lipstick *LOL* it is the cream blush applied on the lips. Have you checked the cream blush? It is "the product" of this collection for me lol. thanks so much. If you own many of the pieces already, it is really not a collection to go crazy for. But Fall one is coming up, I can hardly wait!! a year ago I promised myself not to get any back ups because none of them I got is used. I think they always repromote or new pretties come up. I wouldn't back the blush up. It has lots of product in there too. I really like Spring 2015 color too. Too bad I already have it because I would have picked up Midnight Sea. I agree with all that you say. It is a lovely shade and looks great even sheered out. Actually, the reason is because they dry out much faster than powders. It might be the weather here, but even if I store them in cool dark places, they seem to dry out pretty fast. My MAC paint pots shrink in a year but so far, the best I have to say, are Bobbi Brown cream products. If you need anything, let me know since the collection is yet to be released here. It is a good idea to ave, Fall collections (my favorites!) are coming up! !!!!! Ok !you convinced me buying Black Oyster too!! !poor wallet! Yes lovely duo! Stunning indeed.